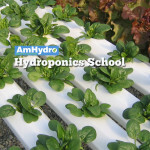 Aeration Plant Containers, Gimmick or Great? 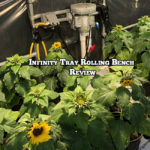 For the purpose of a conducting a real world RediRoot Aeration Pots Review, we opted to pot up our crop of soilless dwarf sunflowers growing in a side by side trial into RediRoot #3 pots. 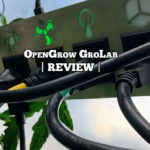 We’ve heard from various growers, both in hydroponics and using traditional soil growing methods that they were achieving better yields and crop quality in their harvests simply by switching the type of container they used for their final transplant and by watering or fertigating accordingly. While sounding like an easy way to get better results, we had to wonder “Can a plant container type really make a difference in crop performance, given the same volume capacity to hold a substrate like coco or peat mixes”? i.e. a 3 gallon pot is a 3 gallon pot. 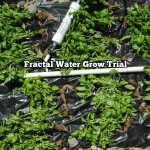 What’s a RediRoot Aeration Pot? An aeration pot or container works like a conventional plastic or clay pot in the sense that it holds a specified amount of growing media and has holes at the bottom for drainage. 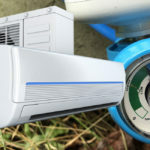 What sets an aeration container part from a regular container is that the sidewalls and bottom are considerably more open for drainage and aeration, ie Breathable. Consider that in nature the soil breathes quite freely, ie for draining excess moisture away, prevents heat build up around sensitive roots and allows for healthy gas exchange, ie roots breathe in oxygen and stale used air can escape. 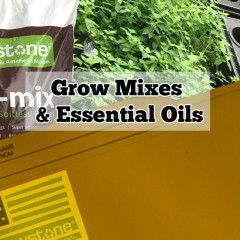 Conventional plastic pots restrict all these natural and beneficial processes that occur in soil. A further disadvantage to regular plastic pots is that they promote “Spin Out”. 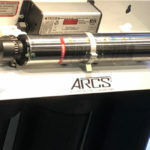 This occurs when roots are trying to grow and branch—however, when they hit a solid surface with no air exchange, they just keep winding downwards in search of air and do not branch extensively. That’s part of the reason why in regular plastic pots and nursery containers we see most root growth in a circular pattern growing between the pot and the soil rather than actually through the soil. 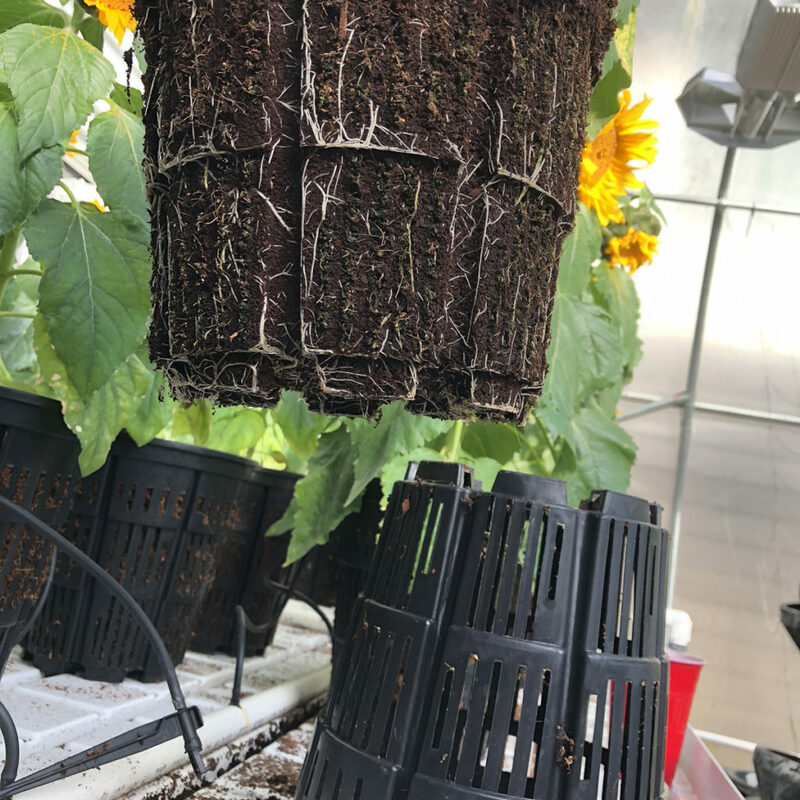 As you can see from the open mesh like construction of RediRoot aeration pots, the sidewalls and bottom of the pots can breathe and drain more freely. 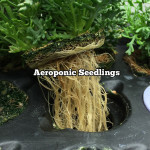 The advantages claimed are that roots will branch rather than spinning out, filling the entire container with healthy thick root growth rather than just the space between the pot and the growing media. More roots means more fruits. 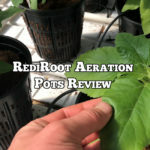 For our RediRoot aeration pots review we decided to use their #3 pot, which holds a similar amount of grow substrate as a regular three gallon pot, in both our Control and Treatment blocks of plants we were growing out to asses the efficacy of using a specialty Fulvic Acid product. We grew Dwarf Sunflowers, which we started in late Summer, anticipating a Fall Harvest of flowers or oilseed (sunflower seeds, ie bird feed). 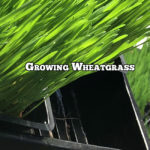 The two blocks of plants consisted of nine plants each, spaced approximately one plant per square foot. 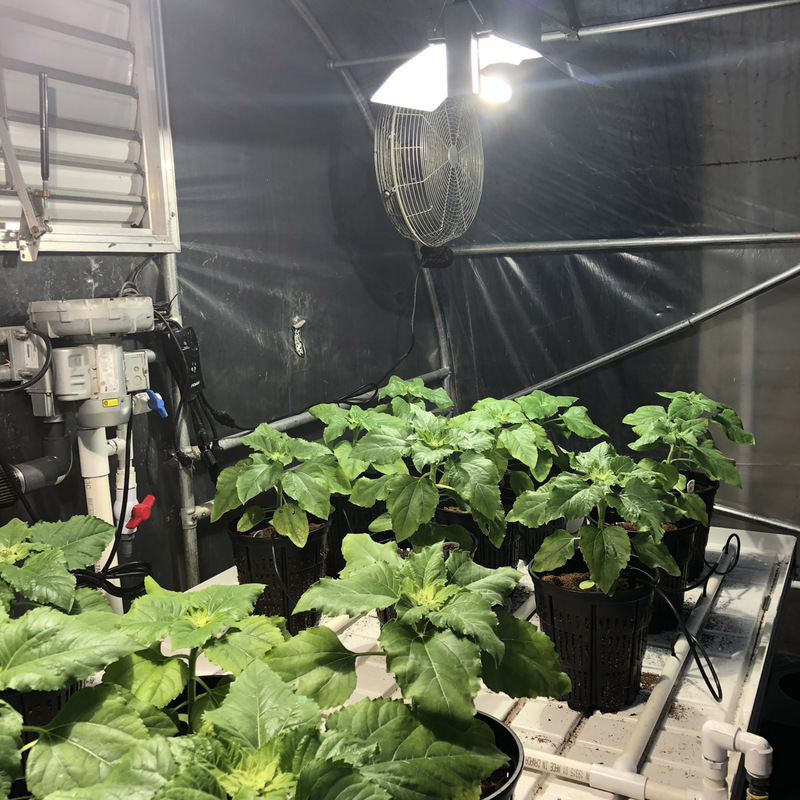 The plants were potted up in the RediRoot aeration containers using a premium ready to use coco coir and were drip fed with Elite Garden nutrients from a reservoir filled with EvolutionRO filtered water in a drain to waste application. While one of the blocks of plants received Fulvic Acid as a treatment, all other factors were maintained equal. 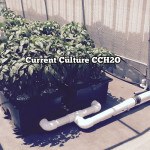 Initially, the greenhouses climate was hot with lots of ventilation as we were still growing in summer months. 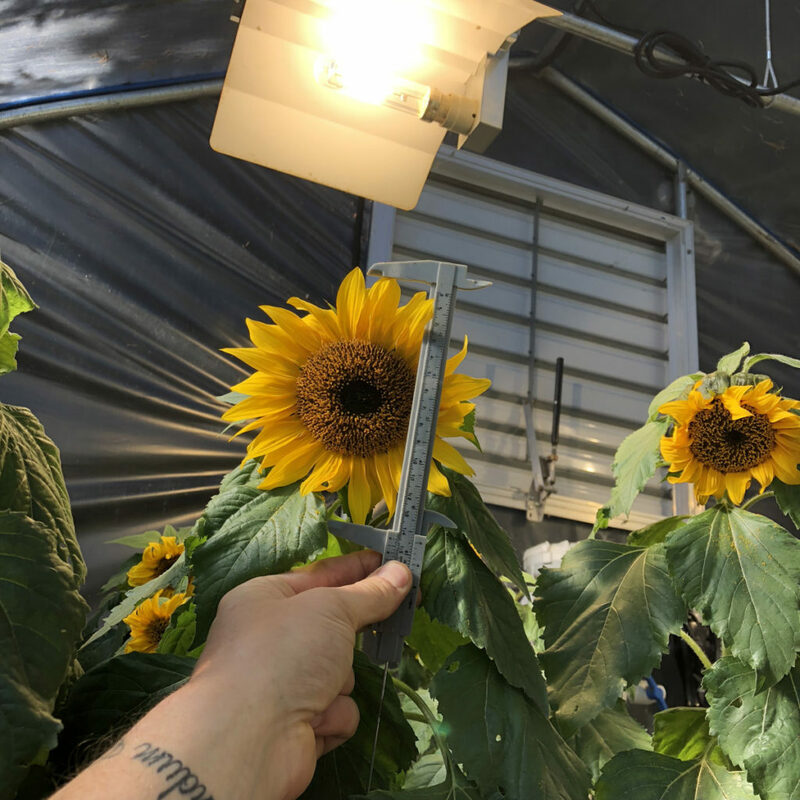 Irrigation frequency was relatively high—we were typically applying one litre of nutrient solution per pot daily or every other day depending on the intensity of natural lighting conditions. We loved how readily the aeration containers drained and breathed. 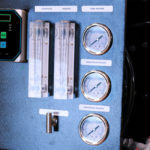 Because of the improved drainage and breathing we could water more often, to push the crop for more growth and development during optimal conditions. 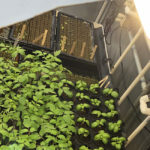 It also meant that out crop roots would not be sitting in warm stagnant pooled water inside the container, so less risk of root diseases or developing fungus gnats. 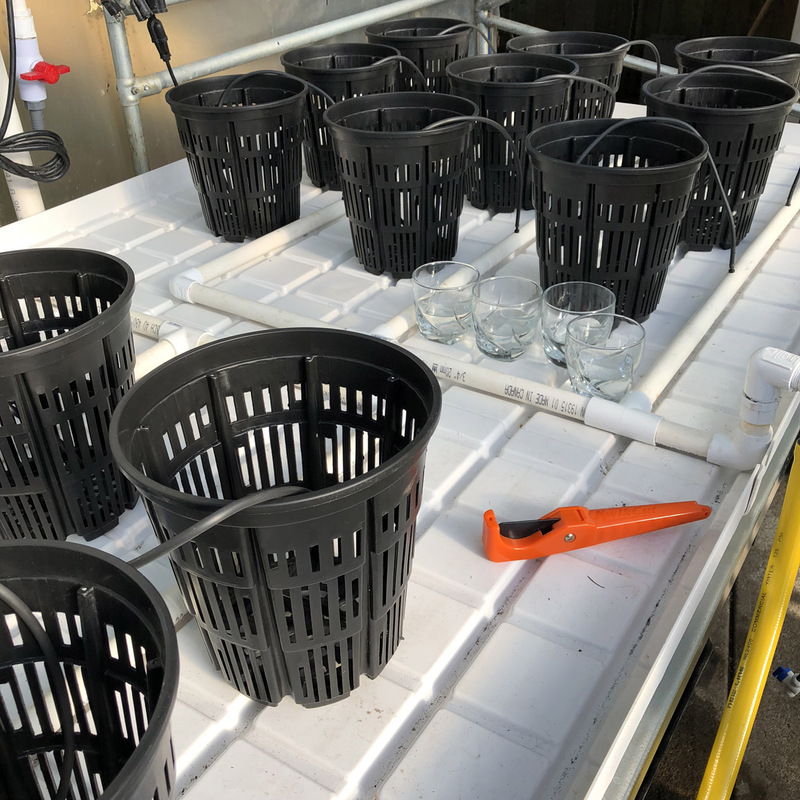 As things cool off late in the season here in the Canadian Pacific NorthWest the outdoor climate can be cold, damp and dark very quickly-making a great test for our RediRoot Aeration Pots Review. 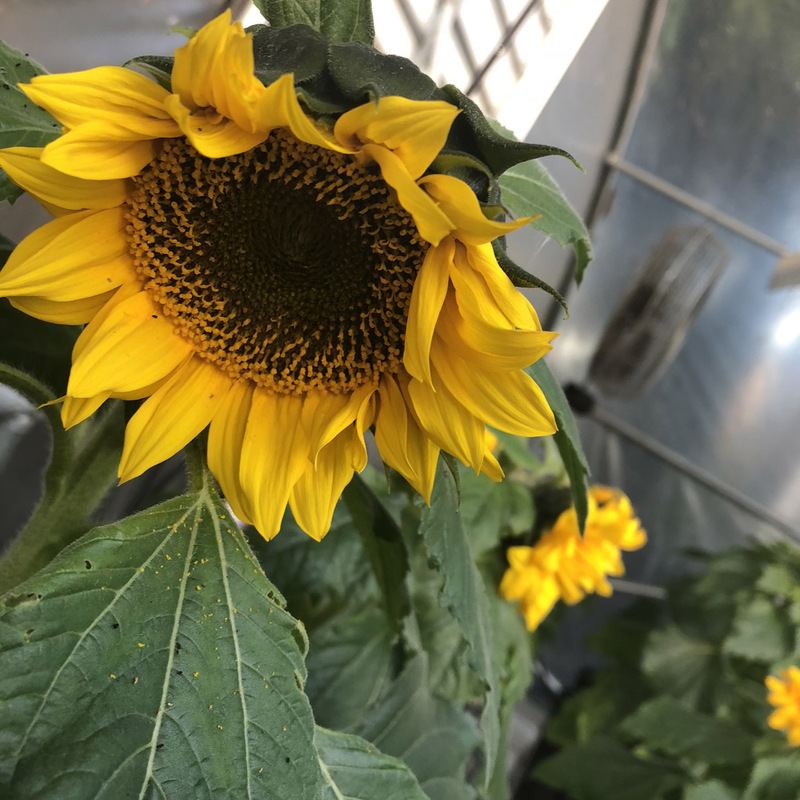 This began to occur just as our crop of heat loving sunflowers has fully formed some gorgeous looking flowers on thick healthy and green leaf covered stems. 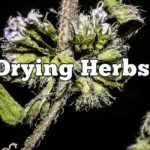 This can spell disaster or poor performance from what could otherwise be a great crop—we’ve seen it before: when it gets ugly outside, root remain wet and cold with little light to stimulate the plants. Crown rot and root rot are not uncommon when things shift this quickly. 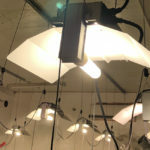 While we have some control over the environment in the greenhouse with Summit-Lighting SUM315 ceramic metal hailed lamps, heating and ventilation, plat roots tend to stay wetter and cooler because of outside conditions. The final couple weeks of nail biting paid off—we were able to keep the crop moving forward to full blooms because we could still fertigate, while not as often, due to the increased level of drainage and aeration our crop of sunflowers was getting from the RediRoot Aeration pots. 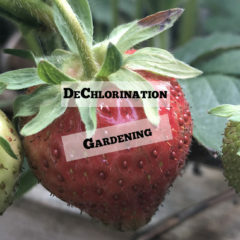 If the crop had been potted in conventional containers we would likely have encountered problems with stem or root rot—even with drastically reduced watering that would have also slowed growth and development to a crawl. 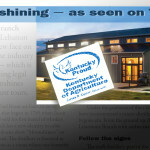 We love ‘em! It seems they saved our beautiful crop of sunflowers from potentially serious problems or at the very least improved production where we would have otherwise expected diminished results due to poor conditions outdoors. Looking at the roots as a final inspection in the floral phase of this crop, they look thick, healthy white and vibrant with no signs of discolouration or rotting as may have otherwise occurred. We intend to grow a future crop, side by using RediRoot containers versus conventional pots to reinforce what we have already learned and experienced—stay tuned! Description: Sturdy, well made 3 gallon nursery pot with an open mesh webbed design on sidewalls and bottom that provides a more open structure for root drainage and breathability versus standard plastic nursery pots.